A movie by Prabhudeva, staring Shahid Kapoor and Sonakshi Sinha is hogging the hatching publicity. Sonakshi actually says it is a “cute love story” and it is different. The hero meets, the heroine, she hates him, she hits him yet he continuous to “chase her” finally she realizes that she is in love with him. Stalking is okay, the girl would finally accept them. Girls liked to be stalked..? Then we have the Mihira Sood episode whoever she is she is definitely marketing herself well, “I will not disclose my abuser’s name, it will tarnish his image.” Sic!! 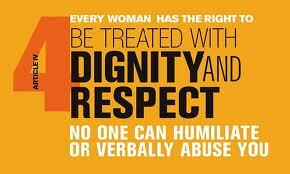 However much it hurts me to accept this but Farooq Abdullah is right when he says people will fear talking to women. You never know when some bees saal baad the woman may claim abuse. What is the point of “ring the bell” activism or any women’s right activism? It is a little too late to stop the clock on the martyr mother of Hindi movies… would it be asking too much for the safety of our daughters, from lust-sick predators by boycotting these movies? 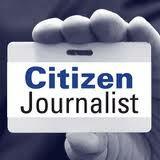 Or make it mandatory of every movie maker to attend a curriculum in citizen’s journalism and social responsibility? Maybe the newspaper and women’s magazine could execute sincere social responsibility and just not mention the movie. Even mentioning it would be publicity. But know something I will bet my bottom rupee, that this movie will be projected as Prabhudeva’s retainer in the 100 Cr.-Club. Of course with our attitude to learning we will mug up the likely 10 questions, 15 questions to be on the safe side, get a 99% and wear a badge proclaiming our piousness. A majority of our dream merchants care only about the box office results and not about the safety and dignity of the delicately nurtured amongst us. 😦 how true and we pay to see it!! I had read the review in the morning and was feeling that this is another senseless movie, no story just meandering about. your message from the movie has made me sit up and rethink. These movies may be grossing a lot of money but the message that is sent out is so unwelcome. Very rightly said. I have always thought about the portrayal of female characters on our films and wondered why? Previous PostPrevious Elephants can remember.